I can’t help myself! I keep thinking of lovely peppermint designs! 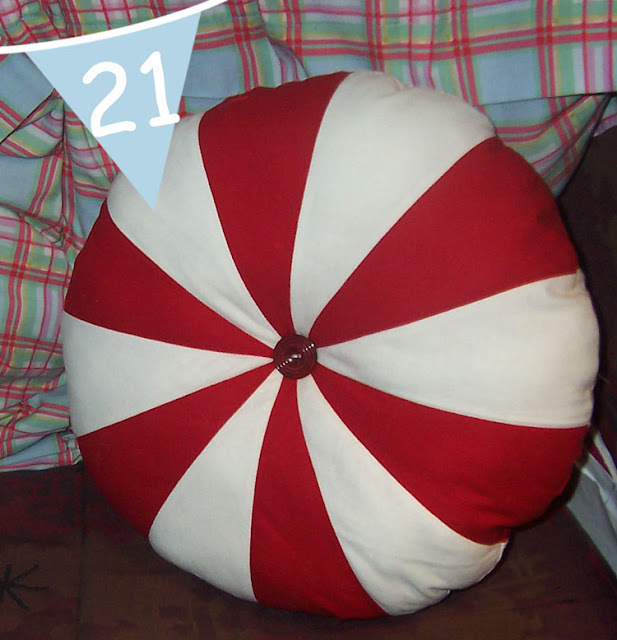 Today I have a tutorial to make a peppermint circle cushion! Begin by printing off the pattern and using it to cut out 12 white pieces and 12 red pieces. 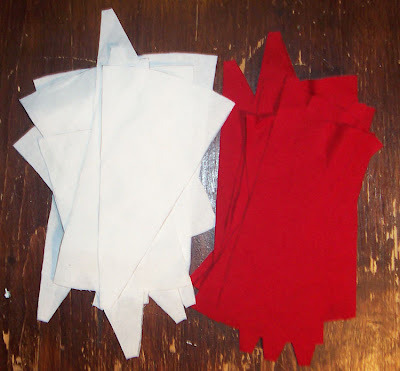 Pair up a white and red piece, right sides together and sew along one edge. Repeat for all pieces so you have a total of 12 joined pieces. Repeat this so you now have 4 semi circle pieces. 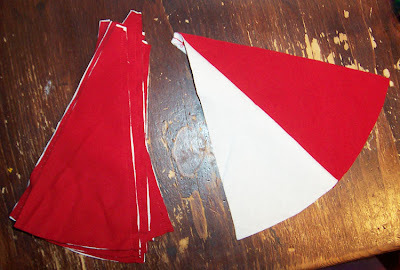 Then pin two semi circles right side together and sew across them, so now you have 1 big circle in alternating colours. Repeat for the other two semi circles so you have 2 full circles. Iron the seams flat for a nicer finish. 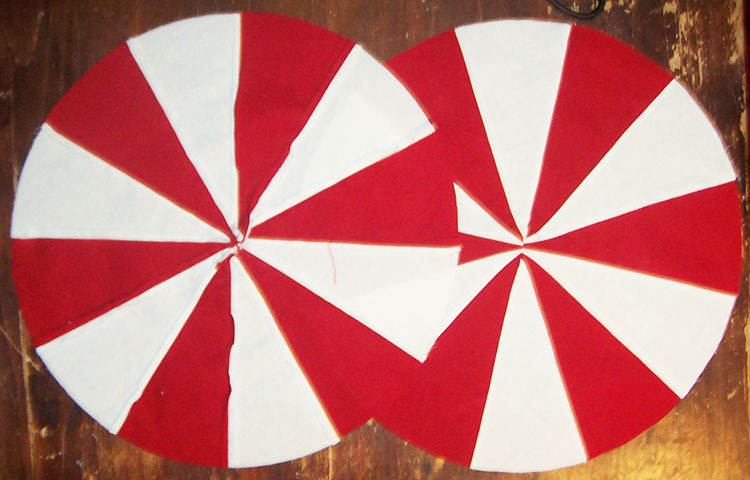 Place the two circles right sides together and line up the sections so white is on white, and red is on red. Clip the curves and turn the cushion right way out. Stuff it nice and full and plump, then ladder stitch the opening closed. 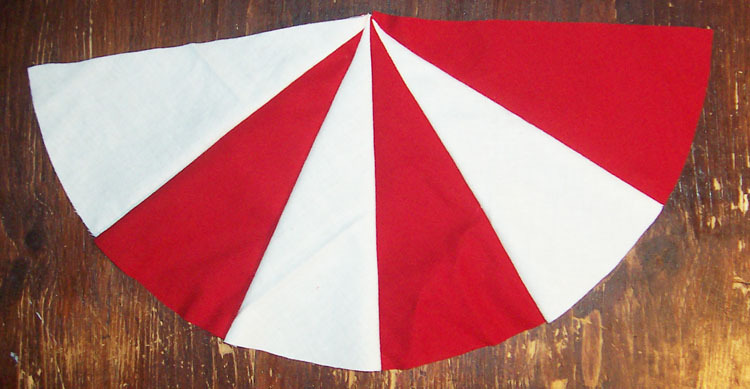 Thread a needle and pass it from one side of the cushion to the other, through the center point. 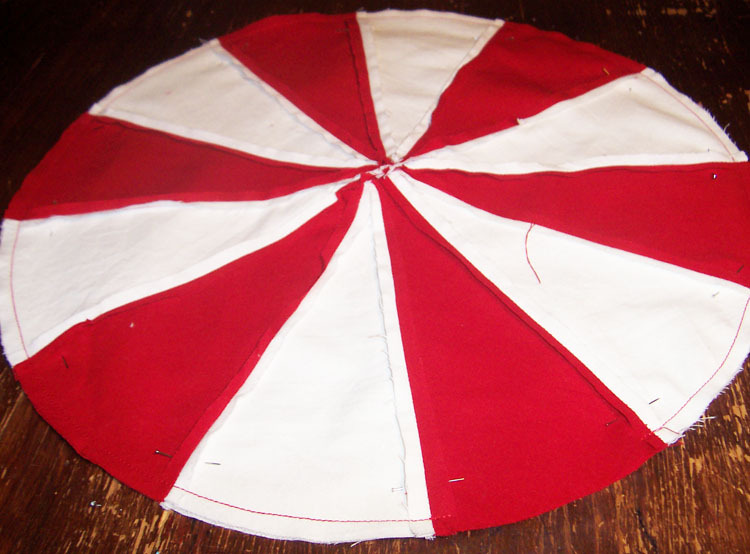 Add 1 large button and thread back through the cushion. Add the other button and keep sewing back and forth through the cushion. Pull the thread tightly so that it makes the cushion dip in the middle. 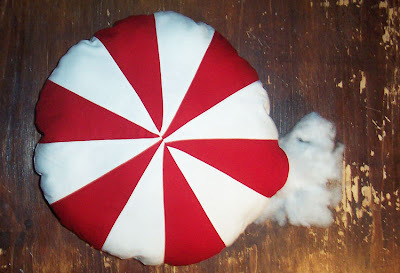 Secure the thread and you have your peppermint cushion! This entry was posted in Christmas, Christmas 2011, Christmas Advent, Fabric, Tutorials on December 21, 2011 by Handmade Cuddles.